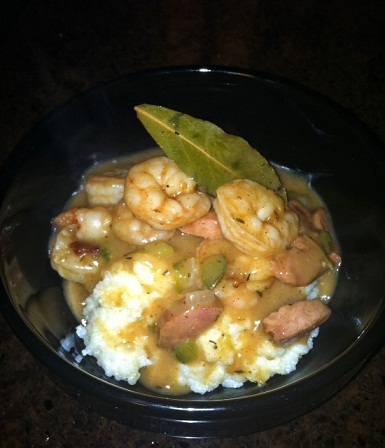 Seafood recipes | The High Life Suite | Fashion. Food. Love. 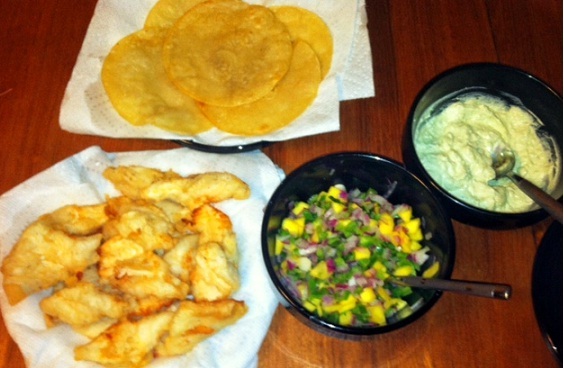 The Feast of Seven Fishes & A Recipe for Salt Cod Salad! On Monday I posted a video tutorial for pesto from scratch, that I was using as a part of my Christmas Eve Feast of Seven Fishes – an Italian holiday tradition. The pesto which was tossed with shrimp and linguine was just the beginning of a literal culinary seafood feast that I shared with my family! I planned the menu for weeks, taking tips and tricks from some of my favorite chefs and cooking shows to come up with a menu that would leave everyone satisfied. There was calamari, salmon glazed with brown sugar, mushrooms stuffed with crab, scallop risotto and more. and the baccala(salt cod) salad. I’d never cooked with or tasted salt cod before, so I was worried about how this would come out but it was a hit! That means I’m here to share the recipe with you! Fish, other than salmon, on a salad may sound crazy but trust me, this one is nomalicious! You’ll want to begin by soaking your salt cod for 2-3 days in water to remove the salt from the fish. Keep the fish in the fridge while doing this but change your water every 6 or so hours. Test a piece of the fish for saltiness before baking to make sure it’s soaked long enough. Once your fish has been de-salted(is that a word?? 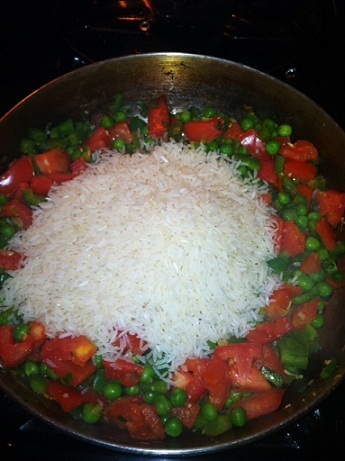 ), sprinkle it with olive and pop it in the over for 15-20 minutes, or until flaky, at 375 degrees. While the fish bakes, prepare your salad. Saute your garlic, shallot and dill in 1 tbsp of olive oil until the shallot softens and become transparent and set aside. Rinse your arugula and pat dry, then put it in a big bowl. Add your shallots, garlic and dill to the arugula, as well as the juice from half the lemon and toss. Once your fish is out of the oven, tear it into small bite size pieces and toss with the greens. Add the almond slivers and just like that you have a unique salad that’s bound to impress! I’m pretty sure that the last thing you think of when some one mentions the word “burger” is seafood. 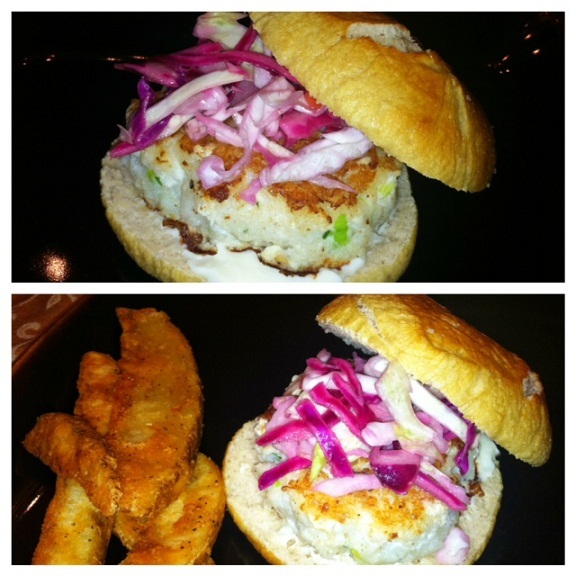 Heck, boca burgers probably come to mind before the idea of turning a fish into a burger patty does. Well, I’m here to change your mind and titillate your taste buds! A few years ago, I tried a cod burger on a pretzel bun while judging a burger contest held by one of my former employers. It’s seriously been years since that contest took place and I still remember how nom-a-licious that burger was! So when one of my friends asked the twitterverse for suggestions on what to do with some cod they had, those burgers popped right back into my head. 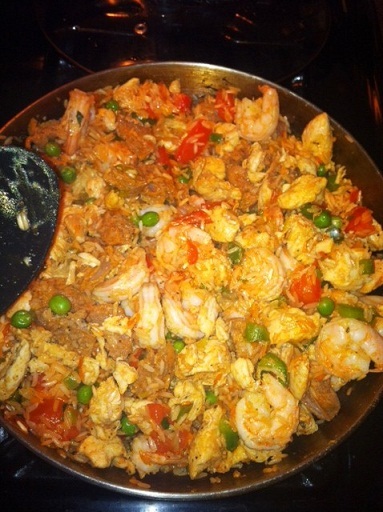 I completely believe in satisfying a craving so yesterday I made an attempt to recreate the magic! 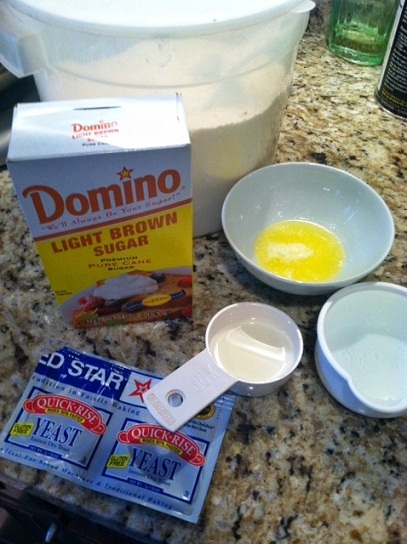 In a mixer, combine the dry yeast with 1/3 cup warm water. 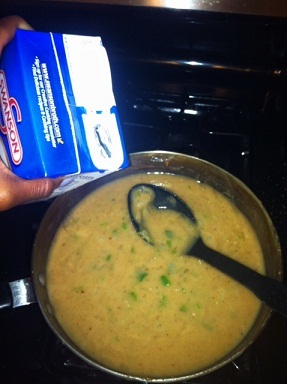 Allow the mixture to foam and bubble; should only take 3-5 minutes. Once the mix begins to bubble, add in the remaining cup of warm water, 1/3 cup of light brown sugar, melted butter and warm milk and set the mixer on low. Once the sugar has dissolved, slowly add in the 4 cups of flour. 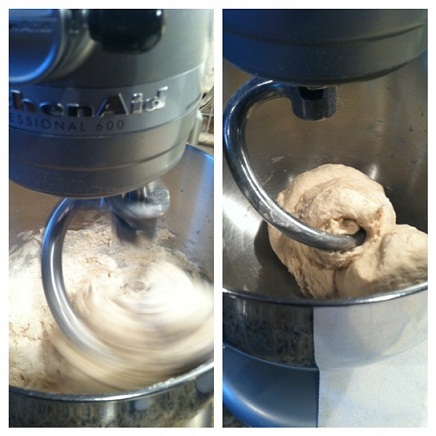 Turn the speed up to medium and allow the dough to come together. Once the sides of the bowl are clean and the mixture resembles what we typically think of as tough, you’re all set with this phase. 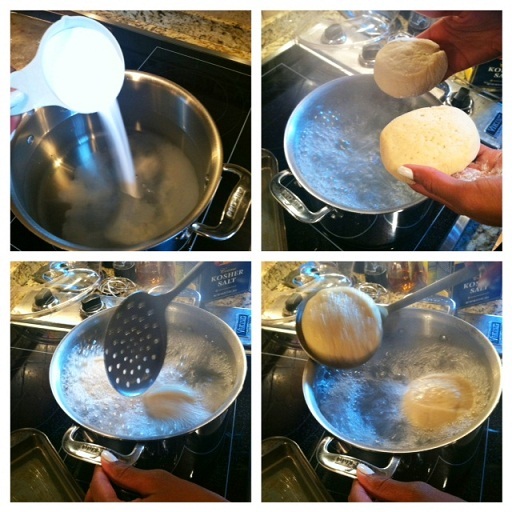 Turn the dough onto a flat, floured surface and knead the dough for 2 minutes. 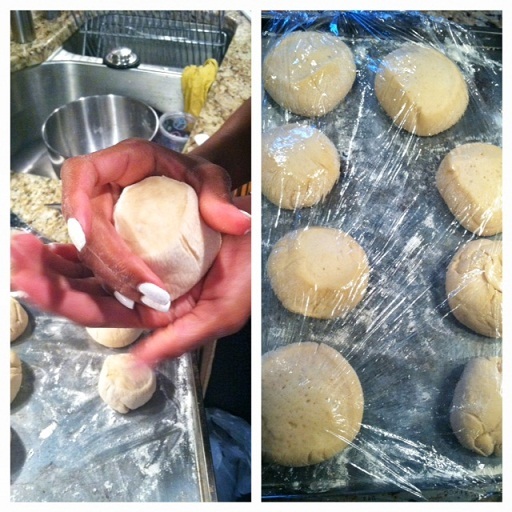 Be careful to only do this for 2 minutes, you don’t want to overwork the dough. You’ll now want to roll your dough, by hand, into a 2 foot long roll. and then cut the dough into 12 equal pieces. 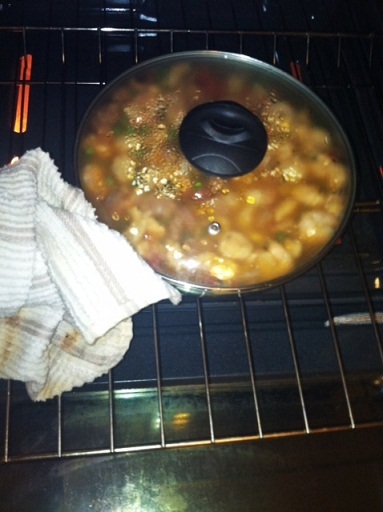 Place the pieces on a baking sheet and cover with a damp paper towel and plastic wrap. Let the dough sit for 10 minutes. 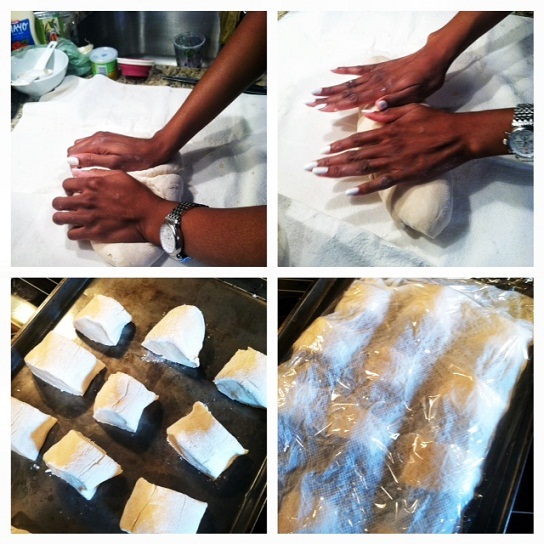 After 10 minutes has passed, uncover the pieces and shape them into rolls/buns. Once all 12 have been shaped. Please them on a floured baking sheet and cover them with a lightly oiled piece of plastic wrap and let them sit for 30 minutes. While giving the buns time to rise, you’ll want to get a pot ready and fill it with two quarts of water and 1/2 cup of baking soda. 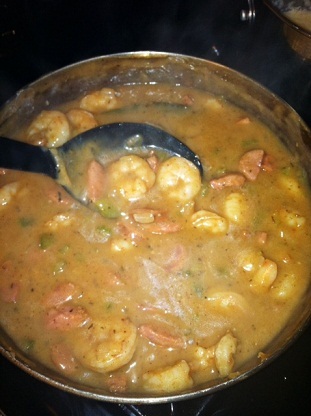 Bring this mixture to a boil. Once the buns have finished rising, gently drop the buns into the boiling water, 2 at a time for 30 seconds, being sure to flip them once. Once all 12 buns have gone for a dip, it’s baking time! Pre-heat your oven to 425 degrees. Lightly grease a baking sheet(or two) and arrange the buns with enough space between them for them to expand. 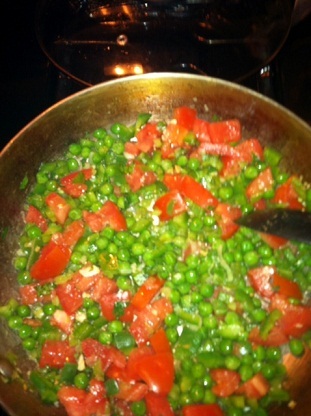 At this point you can sprinkle a little kosher salt on top for added flavor. Once the oven has finished heating, pop the buns in for 8-10 minutes or until they have started to brown. Now it’s time to get started on the burgers! 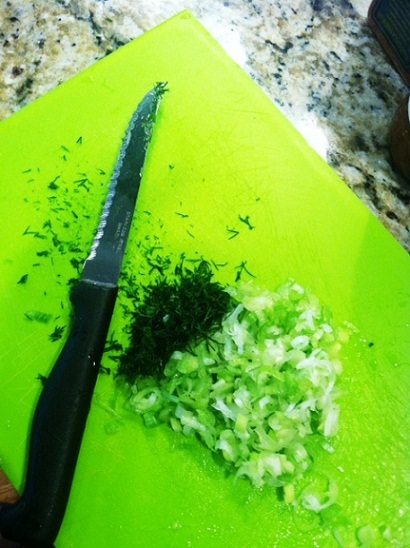 Finely chop your scallions and dill and set aside. Cut your cod into pieces small enough to fit into a food processor. Place the cod into the food processor and pulse. Don’t over do it though, you want the fish to be broken up yet not turned into mush. 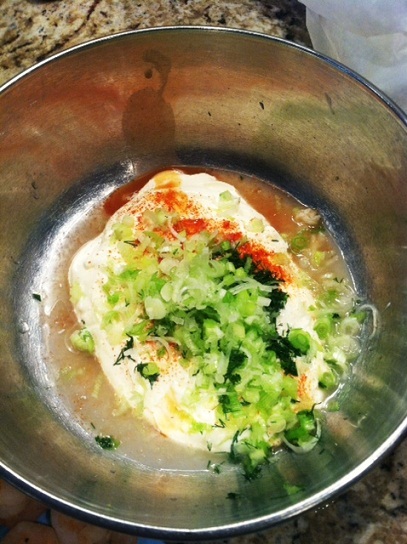 Place the cod in a bowl and mix with the scallions, dill, dijon mustard, garlic and eggs. Then add in the cup of panko breadcrumbs. 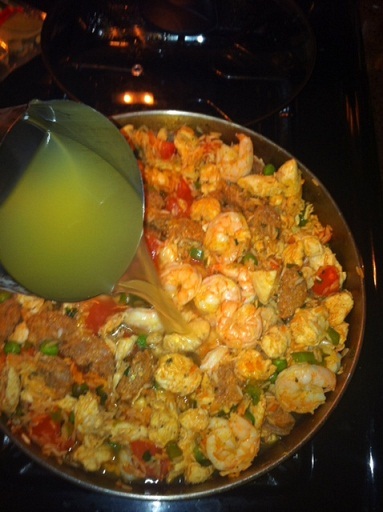 Now it’s time to use those hands and form the cod mixture into patties and you would with ground beef or turkey. If the patties don’t seem to be sticking together well enough, add in more breadcrumbs. 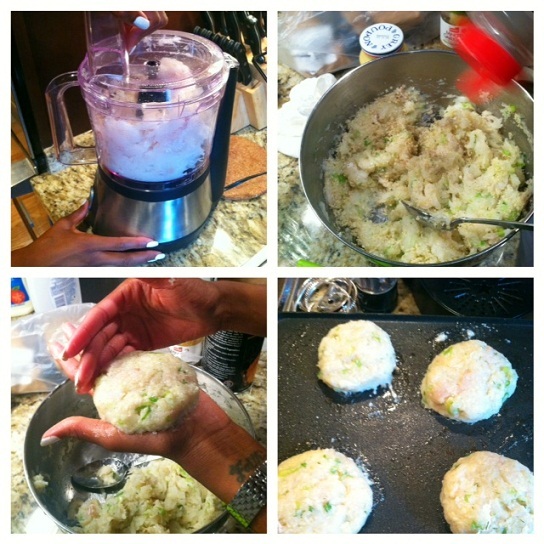 Once your patties are formed sprinkle them lightly with kosher salt and pepper and they’re ready for the skillet/grill/griddle. Cook the patties for 7-10 minutes, being sure to only flip them once. 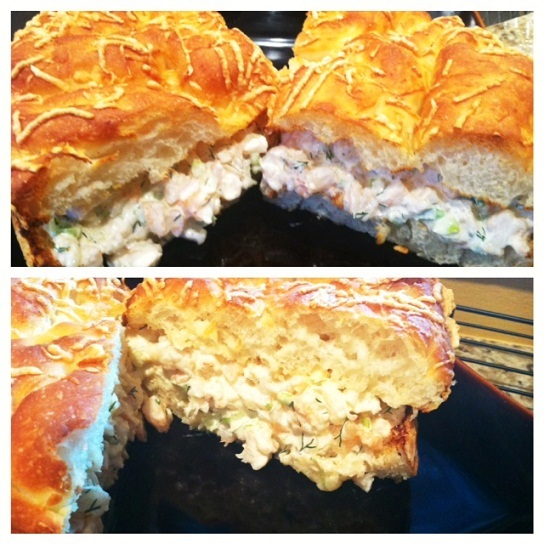 To accompany the burgers, I also made a quick Asian slaw and spicy wasabi mayo. 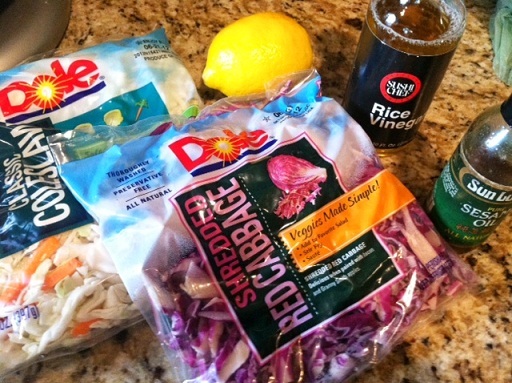 In a bowl, combine the cole slaw, purple cabbage, sesame oil, rice vinegar and the juice from lemon. 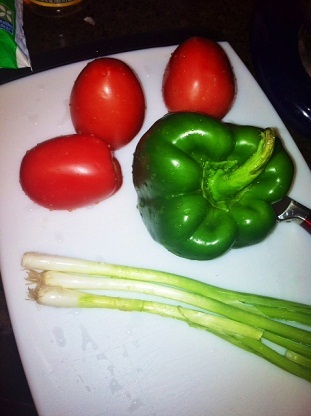 Mix and set aside in the fridge until ready to assemble your burger. 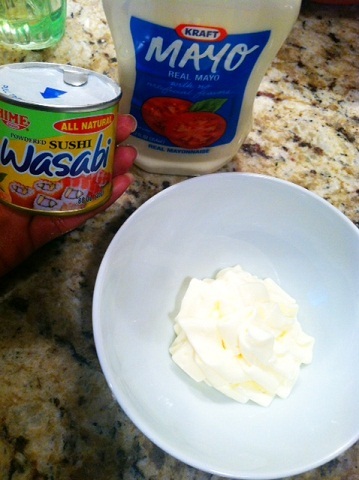 Gently mix the wasabi powder with the mayonnaise and set aside. Now that you’ve got all your components finished, it’s time to assemble and enjoy! I promise that all of your hard work will totally be worth it!! 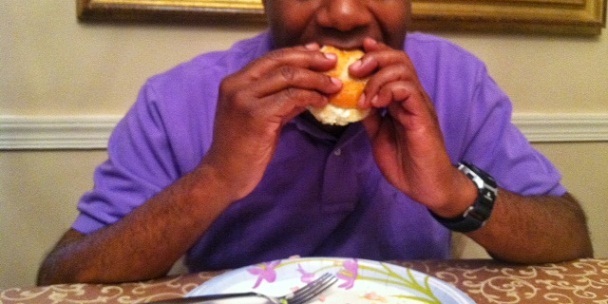 Even my dad enjoyed this adventurous spin on an American classic! 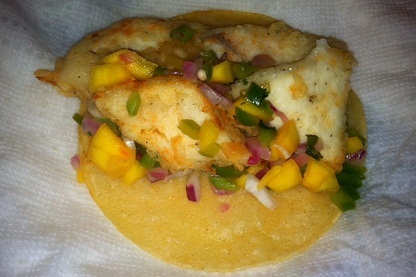 Recipe du Jour: Fish Tacos w/ Mango Salsa! 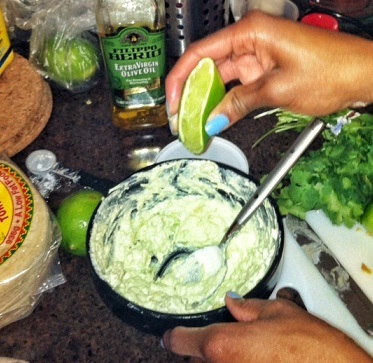 In the spirit of Cinco de Mayo, we decided to follow up yesterday’s post about unique margarita ideas and keep the fiesta going by offering up one of my fav recipes! Everybody loves tacos! Okay, maybe not everybody but many people do. 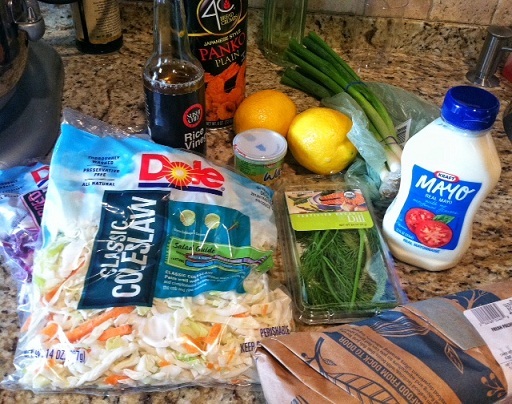 Fish tacos are a refreshing way to enjoy this simple favorite while giving it a new twist! 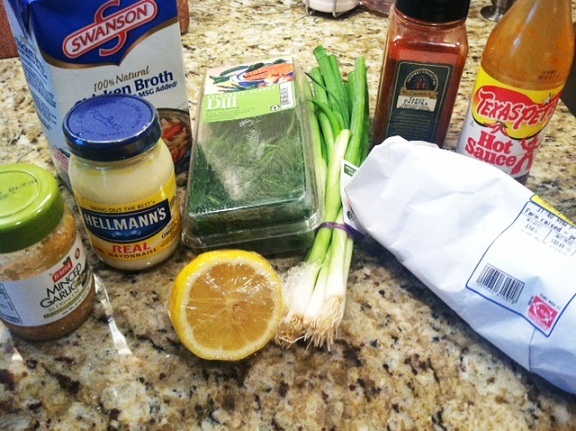 Begin by creating a simple marinade for the fish. Combine the 1/4 cup of oil with juice from one lime. Season fish with salt, pepper and any other seasoning you desire( I used garlic powder and cumin), then place fish in the marinade and refrigerate for 25-30 minutes. 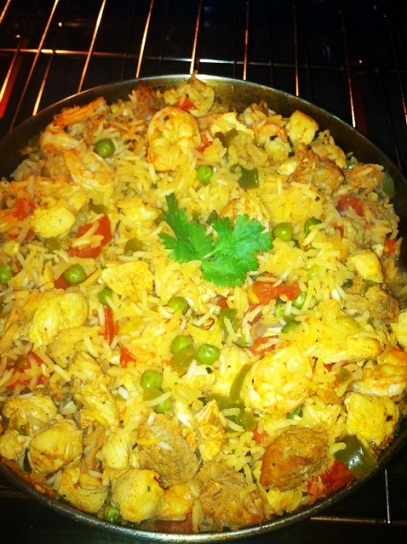 You don’t want the lime juice to start cooking the fish so it doesn’t need much longer than that! As the fish marinates, you’ll want to create your mango salsa by gathering the 1/2 red onion, bell pepper, mango and cilantro. 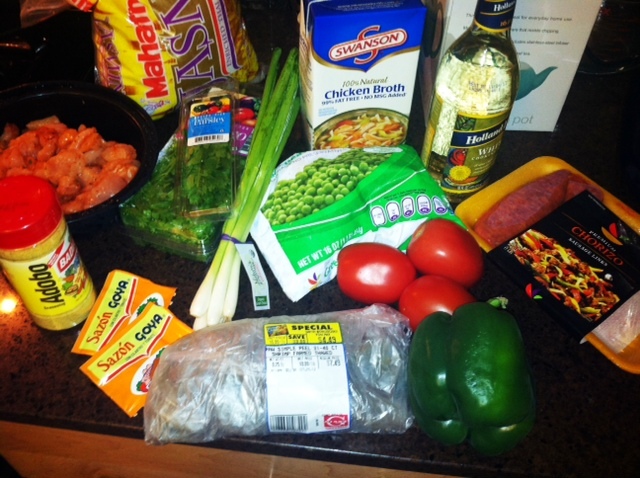 Dice these ingredients, combine them in a bowl and set them aside. 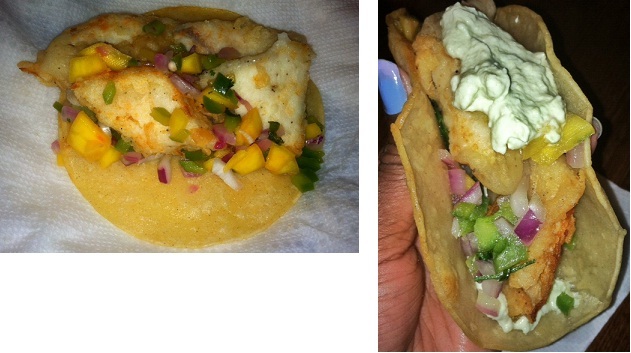 I also create an avocado sour cream sauce to compliment this taco. For that, you’ll want to go ahead and half your avocado and scoop the inside out and into a bowl. Use a large spoon to mash up the avocado, making sure to break up all the large chunks. 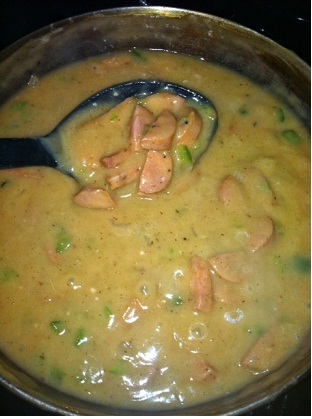 Mix in the 1/2 cup of sour cream, juice from 1 lime and a dash of salt. 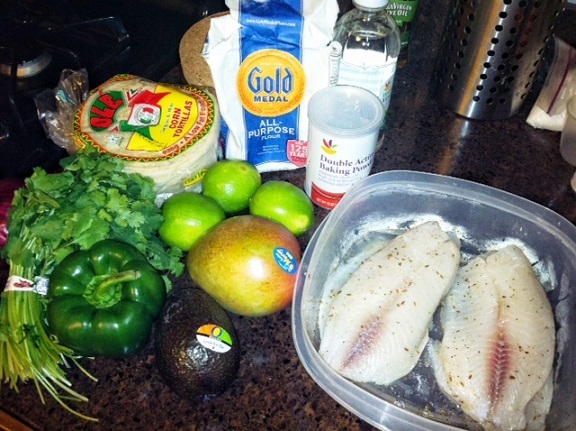 In this recipe, I create a batter and fry the tilapia. You don’t have to do this! Feel free to cut the tilapia into decent size pieces and grill them or saute them. 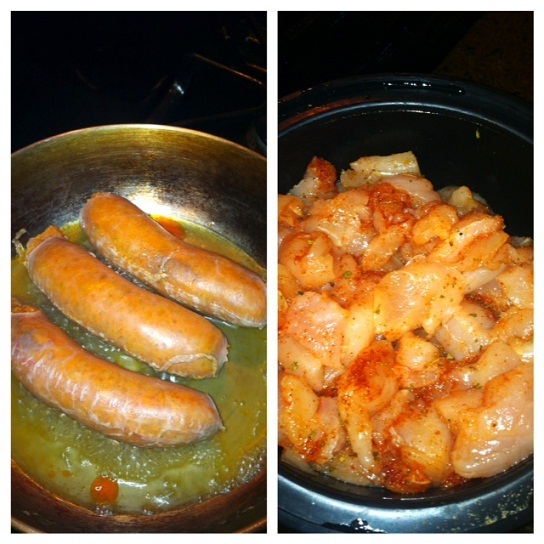 Either way, this dish will be just as tasty. However, if you want to fry them, it’s time to make the batter. 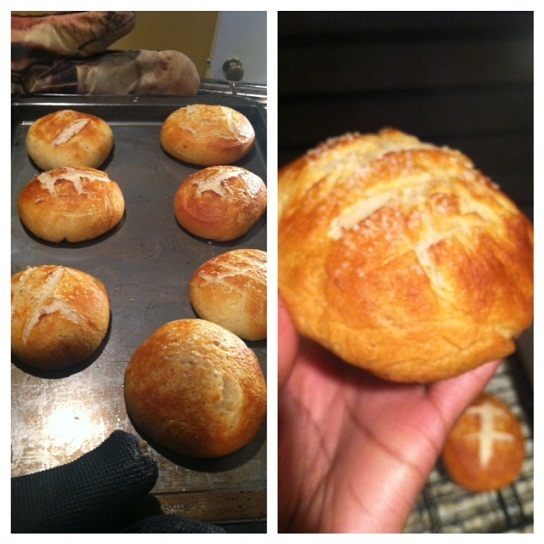 Combine 1 cup of flour, 2 tbsp of cornstarch, 1 tspn baking powder, salt and pepper together. Whisk in 1tbsp of white vinegar and 1 cup of water. Once the batter is lump free, you can now add the fish to it and toss to coat. 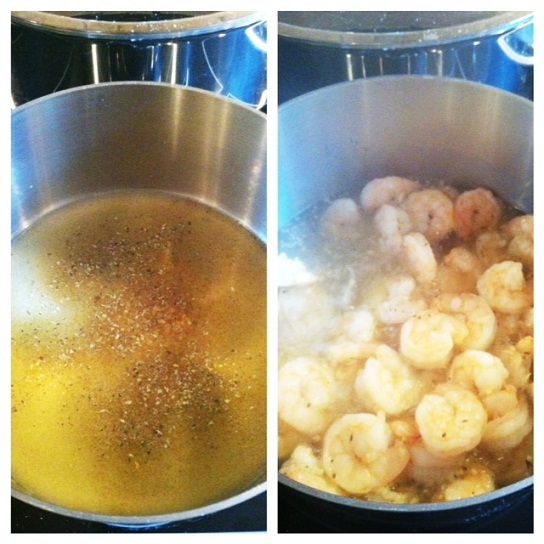 Heat 2-2/12 inches of oil in a pot to 350 degrees and fry your fish until golden brown. 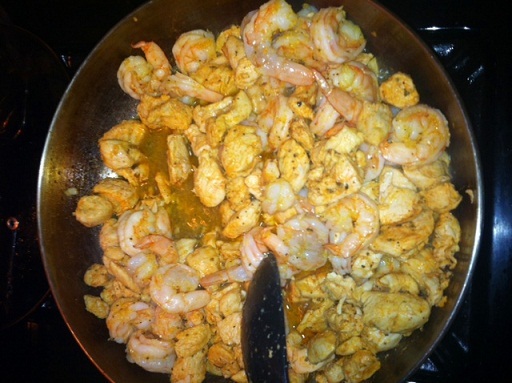 Drain the fish on paper towels once they’re done frying to get rid of excess grease. I believe that corn tortillas are the only way to go, but I also recognize that not everyone loves them as much as I do. Whether you use a corn or flour tortilla I suggest heating them up a little in the oven or briefly in a skillet to give them a little warmth and color. Assemble your tortillas, fish, salsa, sauce and whatever other “condiments” you like on your taco and you’re good to go! Fish tacos may take a little more creativity than ground beef or turkey versions, but trust that you & your guests will love this fresh take on a Mexican favorite!